In order to move through my older polishes I needed to come up with a system. Cha Cha Cakes on YT has a Lucky Lacquer Lottery and I thought that was a fantastic idea but my swatches are all on sticks that are color coordinated. I was not about to mix them all up so I decided to to use a random number generator to pick my polishes. So what did it come up with? Some polishes may be glitter polish where I will need a undie color. I will either pick another number to choose a different brand and randomly pick a polish to go with the glitter polish or just pick another polish within the same brand as the glitter polish. In this pick there was a gorgeous blue polish right next to the glitter. Score! I think randomly picking polishes will help when I don’t know what polish I want to wear. 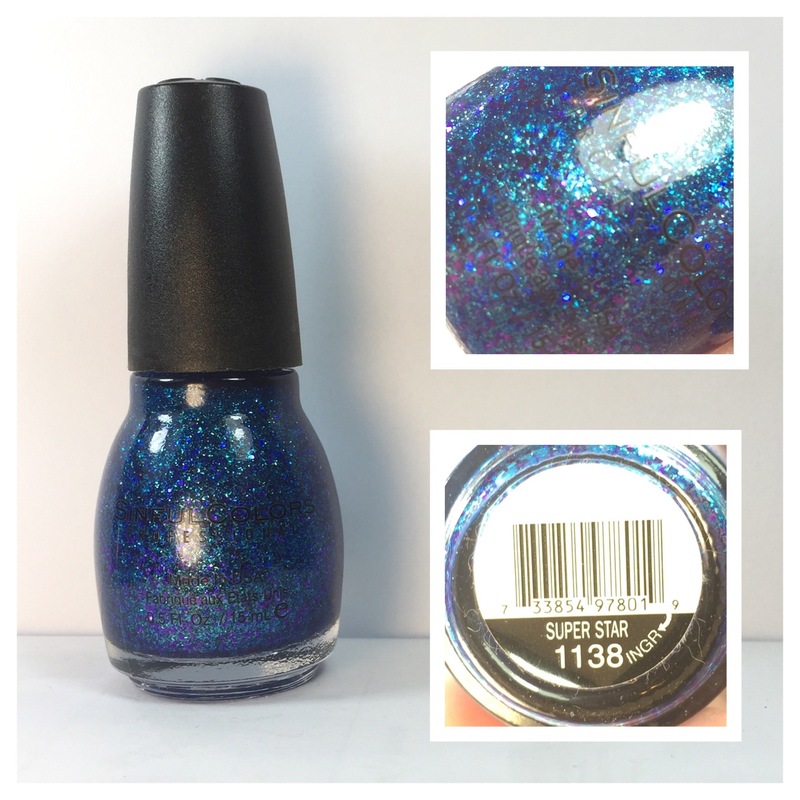 Sinful Colors Super Star is a blue base jelly polish with turquoise/aqua glitter that I would call a flakie more than an actual glitter. I feel like glitter generally has a shape to it. These don’t. Purple hex glitter finish this polish and add to the interest. 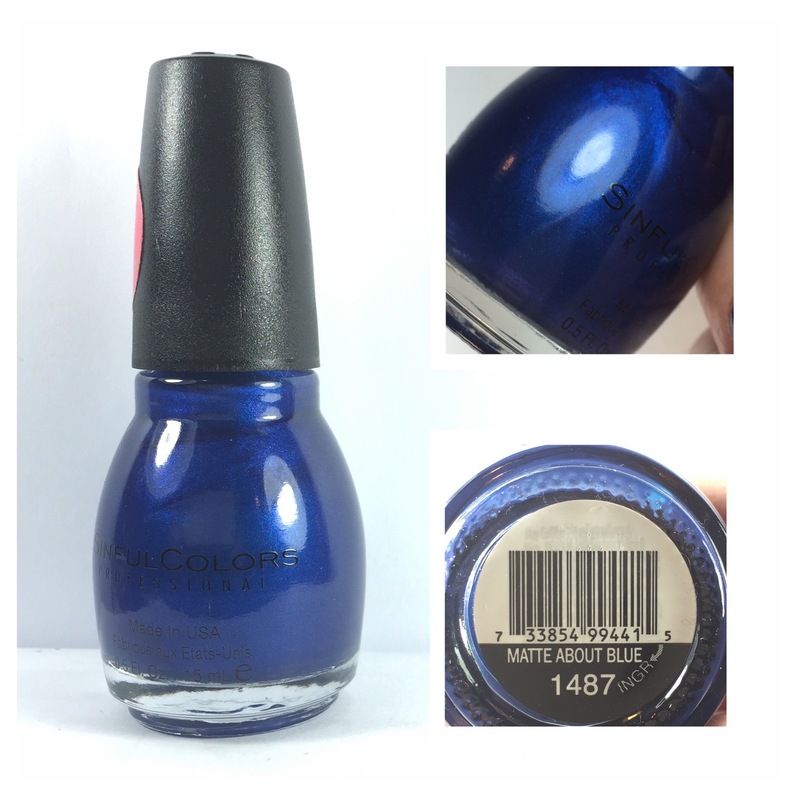 At first I thought this polish could only be a topper but after applying it I believe it could be worn on its own with two or three coats to be opaque. In my pictures I only applied one coat. For an undie I chose Sinful Colors Matte about Blue. 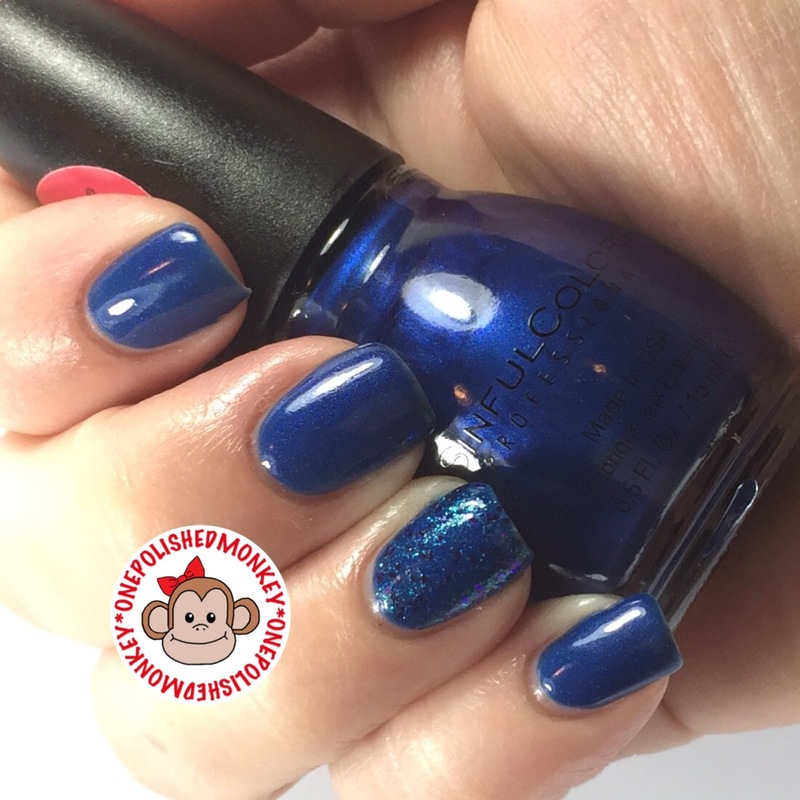 This is a satin polish with shimmer, You can really see the shimmer when you apply a glossy top coat which is how I preferred to wear it. Two coats and this was opaque.